I can't believe I have neglected my blog for more than a year. It probably has to do with the ease of Facebook sharing and the fact that I had a job, outside my home. So let catch up hall we? 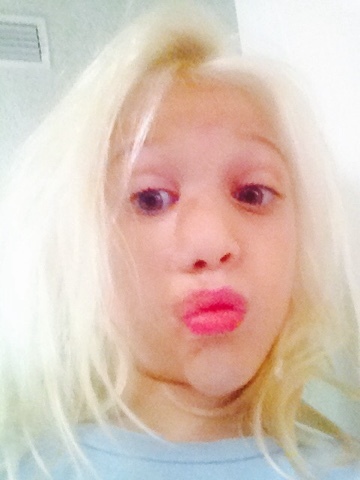 In my last post I had decided to home school the two younger kids. My plan was a good one and I made our lesson plans for the year. My one issue was that I had a job that I enjoy and there isn't really childcare for school age kids during the year. Can working moms homeschool? Of course they can. I however didn't know if I was up for it. Jason and I talked a lot about it and since the school gave me everything I asked for and more in the IEPs we decided we would try it. Give the iep until Christmas and if the kids were doing good and ok then we would leave them there if not I would re-evaluate the situation. Knowing that meant giving up my job. As they started school I was scared that it would work and that it wouldn't. I just wanted them to learn how they are able to. I wanted my kids to thrive. And they did. Haleigh made straight As (with one B) and Landon had mostly Bs. They were thriving. And in a grove by Christmas so we left them there. I can't say enough about how they really flourish this year. We did things differently at home as well with homework and study skills so I am thinking that along with the ieps really worked. I knew it was what they needed. I just wish it was something the could have had when I first asked for it. I still believe that if they were my first children I would have home schooled them from the start. But, you can't go back. You just have to move forward. They will start 2nd and 5th grade in a month. The other kids did really well in school last year too. They will be going into 11th and 8th grades. Maddie graduated in May. She's currently looking to enter the workforce. Landon is on 27mg of Concerta once a day. He went up from 18mg. He's been on this dose for a year and he's doing very well on it. He hasn't had any serious side effects and it helps him tumendously. Maddie, Collin, and Aden are for the most part healthy. A little bit of allergies and Asthma but it's all well controlled. Toss in some migraines and some braces and that's what we have with them. Haleigh. Well Haleigh is and always has been our 1% baby. We should really have her play the lotto. Her yearly eye appointment showed her eyes were worse and we needed to have a stronger Rx that she must wear all the time. She doesn't mind them but I have to remind her still everyday. Her yearly ear appointment went great. Her right ear is still functioning at 0%, We expected it. I am under no false pretenses that her ear with magically start working. Her good ear. The left one is still functioning at 100%. That's the one I watch. That's the one I worry about. As long as it is a 100% we are good! Dr. Elliot has been amazing. She explains everything to Haleigh so well. We couldn't ask for a better ENT. The staff at the Alabama hearing clinic is just as amazing. Her Nevus hasn't given us any troubles and we haven't scheduled any surgeries nor do we have plans to. We see a doctor ever 6 months, her primary doctor and her dermatologist once a year each. However. if we need him we know that Dr. Grant is just a phone call away. In February we went to Disney World and had the absolute best vacation yet! We have a pool and the kids take full advantage of that daily. We've taken them to the water park, a couple weeks ago. They have become regulars at the library down the road, and are enjoying the last month of their summer vacation. I still have a couple of surprises in store for them as well. There is a saying, "Never say Never". Meaning, never say you will never do something, because that is exactly what you will do. I remember when Maddie was about 8 months old, I had decided she would be my only child. I didn't want to share her or our time with anyone else. Also the thought of having to care for more than the two of us scared me. Not too long after that Jason and I got married. We decided to have just one more child. Another girl.. I wanted Maddie to be a boy, but once she was here, I never wanted a boy. 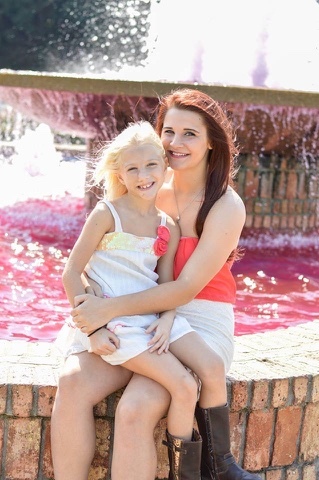 I wanted Maddie to have a sister, someone to grow up with and share things with the way I did. The timing was perfect, Maddie would have a sister, two years younger than her... I had a boy. Two for two with that one. We moved to West Mobile. I would never move back to North Mobile. I liked it in the West. It's been 16 years, We live in North Mobile. I think sometimes of all the things I said I would never do. Its scary to think of how many more things I've said that about, that I may just be doing soon. Last week I went to a meeting to set up a meeting. Yep, that's right. A month back I went to a meeting to see if the school agreed with me that Haleigh and Landon needed special education testing. They both did, but because of Haleigh's hearing she wasn't actually tested at all, I have no idea why it took so long for hers. Because, they could I guess. Then last week we all met again, so they could tell me, based on testing they will get special education services. What services they will get, when, how long, what does it mean? Oh, that meeting is the 23rd. So I went to a meeting for them to tell me we are having another meeting to talk about what services the kids need. I now know why nothing ever gets done. When I put my oldest child in kindergarten 13 years ago, I had no doubt she was smart, and she is. I had no doubt that she would thrive in public school and she has. I had no doubt that all my other children would follow her and do just as well as she did. I was wrong. I had said I would never homeschool my kids. If my child needed something extra then the school would provide that. An education is a right everyone has, my children would get a free public education, from the state of Alabama. I was wrong. There are so many things that are wrong with our education system. There are parents who have been trying to navigate the system for years longer than I have. I started two years ago when Landon first had his accident. I wish I would have pulled him out when our first meeting didn't go well. I trusted them though and I didn't. I left him in the system, he struggled, but he was doing ok. This year was so much worse. Third grade is hard and without the skills he needed to succeed, he faltered. It's the very end of third grade. He has 7 days of school left. The meeting is 3 days before he gets out. There is no time for anything to help him this year. I'm not sure if he passed this year or not. I am actually not concerned with passing or failing anymore. He hasn't learned the skills needed to be successful in the 4th grade. He repeated kindergarten, simply because he was too young to be there really, I should have kept him home another year. If I leave him in public school he will restart 3rd grade at 10 years old. I can only imagine what that will do to the confidence he has managed to hold onto. I think if the school had agreed to help him last year, or maybe even the first part of this year it could have made a difference, but now its a little too late. First grade is a big year, they learn so much that year. Haleigh struggled tremendously throughout the year. We didn't realize her disability until mid year and I didn't realize how much it was effecting her until it was a little late. Her meetings have gone the same as Landon's. She has a hearing advocate with her though sent by the state. Haleigh works so hard. I love her teacher, she is amazing. Has helped Haleigh in so many ways, and if we were to leave Haleigh in the system I wouldn't want her to be in anyone else's class. However, If I am going to have Landon home teaching him, I can do the same for Haleigh. There is no reason for her not to have the one on one or two on one, she can get at home. It will be better than the 25 on one she is getting in the system now. I love that she is such a hard worker. I know I can teach her the skills she needs to be a great reader. I know she will catch up to her peers, and I know I can teach her the sounds she is missing. I just have to leap with her. She's ready, I just have to unlock the special way she learns. It's my job, I am her mother. Their mother. A free public education is a right, everyone has that right. To teach is a parental obligation, every parent has that obligation to teach their child. The kids went back to school the first week of January. I worked 40+ hours through their entire brake and I felt bad about it. I felt like I needed something. A change. I didn't really know what, just something. SO I got on the job sites and started applying again. There wasn't much there, but I did apply for one job. The next day I got a phone call, I was at work so I called them the next day and set an interview for the next week, on my one day off. I got the job. Its part time, but since it pays more I didn't lose much money, in return I get to take my kids to school everyday. I get to be off every weekend. And I work with people who care. When they asked in my interview "how many days in the last month have you had to take off?" I panicked little and decided to be honest. I told them that I had taken more than I'd like. I told him that the job I had working was full time 8-5 and that I had a children and that I had just found out that my youngest was deaf in one ear. I explained that since I worked all day, that I had to take off for her appointments. They were just .... understanding. Told me family was always first and that they understood, kids need their moms. I wanted to beg them to give me the job. (haha). I got the job offer the first week in January and Started the next week. I am so thankful for the job and the people I work with. Today I had to take off for the first time. We found out 3 weeks ago that a spot on Jason's nose was Basil Cell Skin Cancer. He had to have it removed today. When I told them, my boss just wanted to know how we were doing and what she could do. She didn't care that I needed time off that was a given. She was worried about me. Yesterday before I left she told me she would be praying for us. This is the kind of atmosphere I was looking for when I started looking for a job. A work family. Jason is doing well tonight. Resting and healing. Haleigh is my 5th child. I have done Kindergarten 7 times, as two of my children with July birthdays repeated. This my 5th time doing first grade. Its changed since my first was there, sure but I expected the normal, first grade experience. I am getting something completely different. I know every child is different. I know no two will be exactly the same. I know there is nothing wrong with doing things differently. Its just not what I expected. Haleigh is struggling. I know she is a smart kid, her teacher knows she is a smart kid. there is no doubt about how intelligent she is. 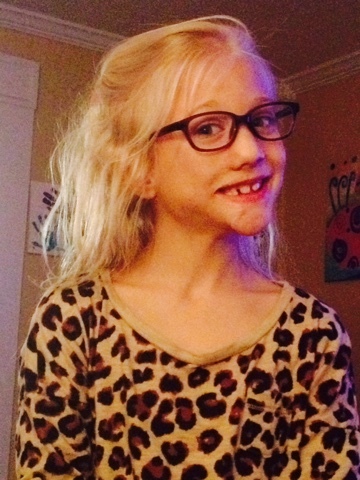 When she started first grade in August we didn't have a clue she needed glasses. She never said anything. She passed the vision screen at the dr the November before. We had no reason to believe she was seeing things any differently than she had in kindergarten. We also didn't know she couldn't hear out of her right ear. She didn't have issues with it that we realized, however hindsight is always clearer. So despite all of Haleigh's challenges, we always expected school to be mostly normal. We were prepared for time off for surgeries (maybe), but not this. We never expected so many other challenges. That's what these are they are challenges that we are overcoming. However it is taking its toll on her. I talked with Haleigh's teacher for about an hour last week. She sent her progress report home with a note that said to call her. I've talked to her several times about Haleigh before, and I am so thankful for her guidance. My thoughts were that it was about the IEP meeting we have scheduled for The first week of March. It kind of was. She wanted me to know that, while Haleigh's grades don't reflect her progress, she is doing so much better, since she has her glasses and everyone is on her left side. The problem now is, she didn't get the skills everyone else did when she couldn't see things correctly and when she wasn't hearing everything. She missed skills and since she doesn't have those skills she is having a really hard time doing the work everyone else is doing. She is behind everyone else in her class. And while I don't know it for sure, she's probably behind everyone in the first grade who has been there 6 months. Haleigh's teacher is wonderful. She stays after school on wed. to tutor kids in her class. Haleigh has been going since she started it in September. She also gets puled out and helped in reading for 30 minutes four days a week. It is suppose to be 5, however they have cooking class on Fridays and if you take all the good fun stuff out, there would be nothing for the kids to look forward to. I firmly believe kids need kid time, cooking club is kid time and I will not take that from her. She love it. While this extra help as helped her improve over the last couple week, she is still so far behind. With that her teacher decided she should refer her for an IEP meeting. To see if there is anything the special education program can help with. I honestly don't hold out much hope that it will make difference. (Landon has a TBI and since he is doing well and improving they cant do anything. He does get extra help in reading as well. But not from special education.) None the less, we have an IEP meeting scheduled and maybe we will get something out of it. It will probably come too little too late this year though. I hate seeing her struggle. Struggling to relearn the right way the B and D and the P go because she wasn't mixing them up like the rest of the kids, she mixed them up because she couldn't see them correctly. I hate seeing her struggle to make the right sounds because she hasn't heard them correctly and when we were teaching her the sound for P and saying ...pa pa pa pa .... I have no clue what she herd and no clue what she saw when I held the P up. Its frustrating and not only is she now learning skills we thought she already had, she has to unlearn the wrong ones like hearing "BA" instead of "PA" and seeing "B" instead of a "P". I'm mad that I didn't know something was wrong earlier. I'm sad that she is struggling so much after all the other things she has dealt with in her very short 7 years. I want her to be herself, not like everyone else. I want her to be able to hold her head high and walk into anywhere and be confident, I want her to be sure of herself, who she is and for her to be comfortable being who she is. I'm just torn on how to get her there. Chances are she will repeat the 1st grade. We will make that fine. She will not be singled out about it. She wont have to wonder if she could have done better. we know she is doing the best she can with the issues she is dealing with. We know she can learn, we know she is learning, we know that given the chance to hear the right sounds with the right letters she will have the skills she needs. The problem with public or traditional schooling is that they cant go back now and reteach her skills she should have mastered. She's still learning them and that's why she gets pulled out. However she is tested on grade level. She is tested on a 1.6 level. she is preforming on a 1.1 level. Can she catch up in the next 3 months? Well, yes of course she can. Is it likely? No. My hope is that she can overcome this and thrive. That she will not become down on herself and that she will understand, she didn't do anything wrong. That she will understand, that she is smart and special, and that despite the challenges she faces, she can do anything she wants to do. We have a wonderful ENT. She has made this process smoother than it could have been. On December 14 we took Haleigh to CRS, for her audiologist appointment. They did three different hearing test. The all showed the same profound hearing loss in the right ear and normal hearing in the left. She was fitted for a hearing device and we were told we would be contacted. So a week later I get a call reminding me of Haleighs appointment with DrE on the 22nd. DrE had set it up, she wanted to go over everything with us and make sure we understood everything. So hear is what we know. 1. 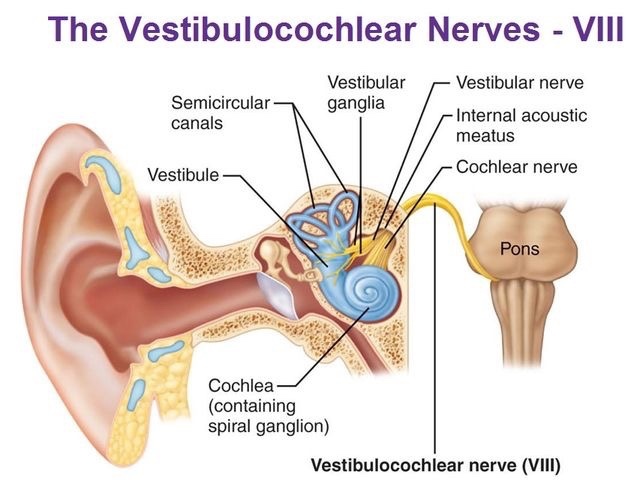 Haleighs cochlear nerves are underdeveloped. It's a birth defect. If you don't know where that is this should help. 2. She probably couldn't hear out of her right ear from birth. However since she did pass the newborn screening, we can't be sure. And because of that we can not be sure she'll never lose hearing in the left ear. Therefore we will be having her tested with DrE once a year. If her left ear dips at all below normal, be will begin sign language classes. We will not do in depth sign now, because apparently some children learn to sign and refuse to speak. So we will be learning simple signs and take a wait and see approach to the other. Also if she ever starts to say huh? Or what? Or complain she can't hear us. We will take her directly to DrE. 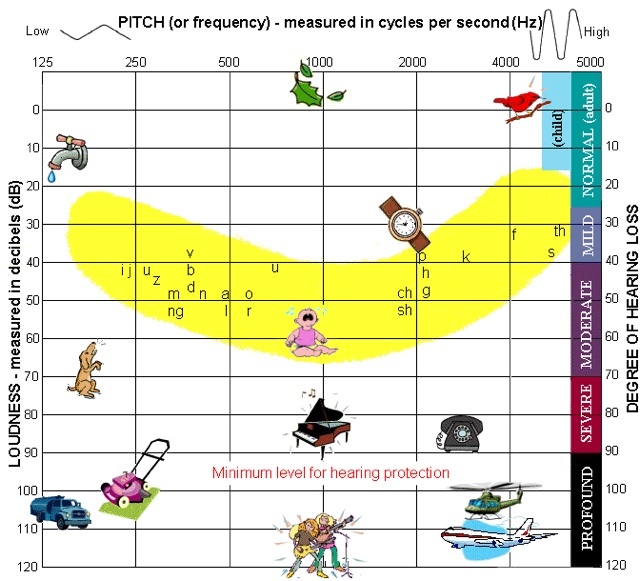 If you don't know the difference between normal, minor, major and profound hearing loss. This should help. 3. She will not be getting surgery for this. She doesn't need it. 4. There is a hearing aid that she could get. However, it will not help her and may even hurt. How's that? Well a couple of reasons. 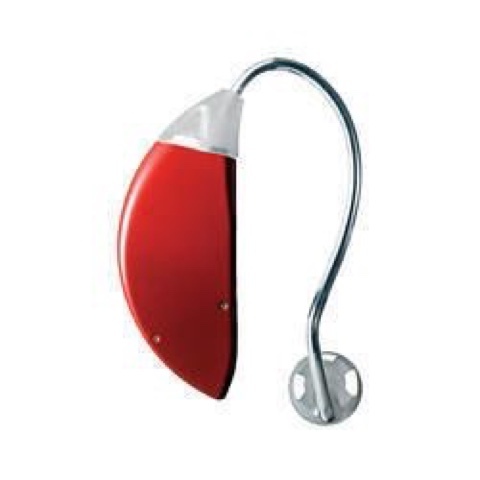 First, if you don't know what a hearing aid looks like this should help. Placed where we live, since she wouldn't know if a car was coming from the right at all. We have decided that she will not be needing the device. 4. We are blessed to live in a community, that has a school system that is small and that employe teachers who care about our children. DrE's main concern was Haleighs schooling. She needs to be sat so that her left ear is to the entire class room. No circle time. No games of telephone. DrE was blown away by my statement that I had already contacted the teachers and nurse at Haleighs school. She was impressed with the acceptance of Haleigh needed special placement and ease of getting her seat moved. She stated that in most county schools there are letters that need faxing and papers that need a doctors signature, before the teacher will do anything. It sadnes me know know that about the county schools. But also makes me very proud of our city district, and its efforts to treat each child as an individual. So what can she hear? Well if you are in her right. She might as well have these in. If she's standing facing you or your on her left she hears you. Just remember to speak clearly. She's processing what you're saying with one ear instead of two. Today was my day off. (And just incase you didn't know, days off are a lie!) I missed a call from Dr.E (our ENT), while I was at Dr.T (our ped) office with Landon, getting his check up. (All good!) I called back and waited hours of course, finally the nurse calls back when I was almost taking a nap. Sigh. So. CT results. 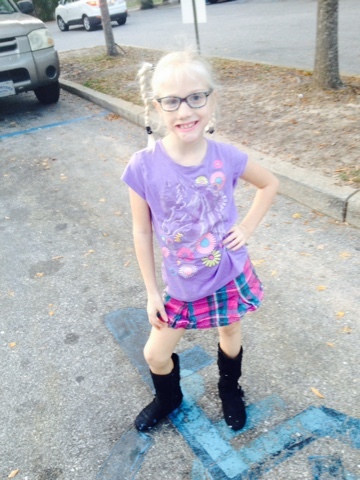 Haleigh has Congenital abnormalities in her Cochlear and Auditory nerves, in both ears. This happens around 6 weeks gestation. Since she has the Abnormalities in both ears there is no clear answer as to why she lost hearing in one ear and not the other. Studies show that she shouldn't lose hearing in the other ear. However if she did she will be the exact child the cochlear implants were made for. And she would qualify for that surgery. 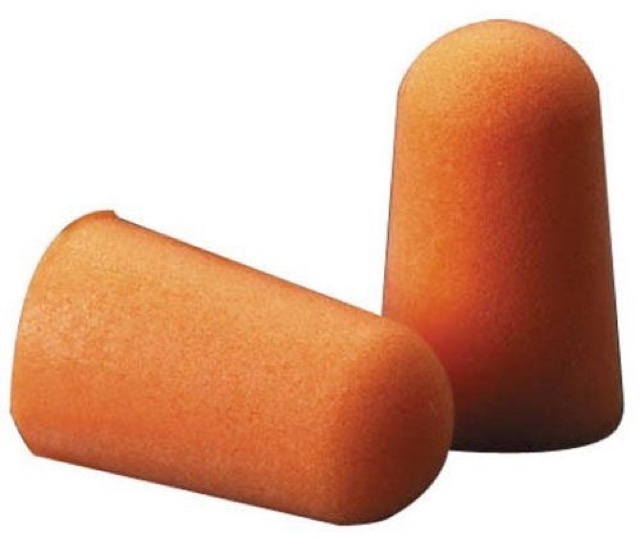 Right now with her hearing at 100% from her left ear, implants is not something we are comfortable with. We see the Audiologist the 14th and hearing devices should help tremendously. I try thinking back about my pregnancy with her. Something happened at 6 weeks. So many things that are just a tad off that form and "happen" at 6-8 weeks and I wonder if the early losses we've had were caused by these and othe Abnormalities. If we had not already seen the geneticist I would want to. But he ran 2 fun genetic panels on her and found nothing. Just the physical markers of over two dozen different syndromes. I definitely don't need answers. She may though one day. She may wanna know why everything fell on her, and I don't have one simple thing to tell her. Except thy God doesn't make mistakes and these abnormalities, are human ways of defining Godly creation. Ears and Eyes Oh My! Ears- We are all signed up with Alabama Childrens Rehabilitation Services. (ACRS) The letters from her others doctors took the longest. Once they had those, the social worker called, I went in Thursay and the paper work took an hour. I met with the case worker, and audiologist. Both very nice ladies. The Audiologist will be doing some test on Haleigh the 14th of December. Apparently there are differ t types of hearing test and while she has had three test, they were all the same type. The type she will be giving showed how Haleighs brain resoponds to different sounds, when exposed to one ear, then the other, then both. I also learned that Dr. E (Our ENT) runs the hearing clinic. She sees all the children's who come to the Mobile Clinic and will see Haleigh every 3-6 months. She will also over see all of her care. You have no idea how much that eases me. I am so thankful we already have a good relationship with her. I haven't heard anything back about her CT yet. But it is the Holiday week, there may not even be anyone in the office. oh My....- look at that sweet girl!! Haleigh has never been a typical person. From the moment I found out I was pregnant with her, everything was different. I felt different than I had in my other pregnancies too. She was not a typical baby. Of course there is the Nevus. 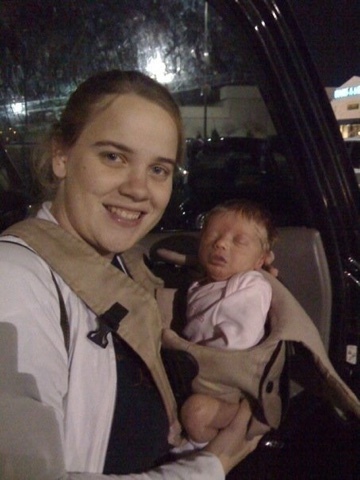 But there was also her reflux and failure to thrive. The milk, soy protein intolerance. The allergies. The Asthmatic episodes. The genetic markers, that never lead to anywhere. Throughout everything she was a happy baby, grew into, A happy heathy child. So I can't say I am too surprised about what's next for us. For her. But I really was. So I'm going to back up a little. And start from a couple months ago. Haleigh started first grade this year. She had done well in kindergarten. About a month into school, Haleigh's teacher (who I love) called and said she thought Haleigh would benefit from after school tutoring. It seemed she had lost a lot of reading skills over the summer. So we signed her up. She was doing well. But still not getting her sounds like she should have. The teacher decided to refer her to reading intervention. It's a great program and had helped Landon read on grade level in less than a month! Before they start the school sends a note home asking for permission to screen their hearing and vision. Did the same with Landon. I signed the form. Told Jason they would be checking it. Slipped it into her back pack. And didn't think anything of it. That was 2 weeks ago. Last Tuesday while at work I got a phone call from the school. I figured that one kid was sick or something. It was the nurse, she had given Haleigh her vision and hearing screening. Her left ear was fine. They said she failed in her right ear ear and both of her eyes were worrisome. They suggested I see the ENT and get a full eye exam. We decided to start at the pediatric office. That appointment was Friday afternoon, we saw the PA, who I really like. Their screenings showed Haleigh has no hearing in her right ear and was seeing about 40/20 in her left eye and 35/20 in her right. They confirmed we needed to see ENT and Eye. Appointments were made quickly. Monday we saw ENT. Dr.E, she did all of Landon's ear surgeries and I trust her fully. Another Hearing test was preformed and she confirmed Haleigh's left ear functions at 100%. Her right functions at 3-5%. With that she ordered a CT scan so she can see the inter workings of her ears. She is interested in seeing if her nerve is underdeveloped, damaged or small. She is sure that this is something Haleigh has had all of or most of her life. Definitely not something new, definitely something she's had since she was an infant. Haleigh did have a newborn hearing screen. We've since learned that just as with everything else there is always a chance of that screening being wrong. 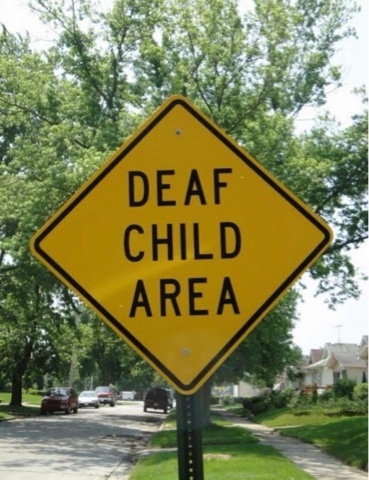 Just as a hearing child can fail a screening, a deaf child can also pass one. Because there is some function in the right ear we have been referred to the Hearing clinic at Alabama Rehabilitation Center next to the children's hospital. She will have a team there that will evaluate her for a hearing device, they will also determine if she needs any kind of therapy and if so what kind. I have spoken with her social worker and that is in the works. However it is ran by the state of Alabama so there is a lot of paperwork and some waiting. The good news is this is not something that's getting worse as we wait. The reality is that why we have just learnt of the issue, she has been living with it her whole life. Her eye appointment was quick and easy. She didn't like the drops, but hey who does right? Haleigh's vision is 40/20 in her right eye and 50/20 in the left. The left also has an astigmatism. Her glasses are so cute. They will be ready in a week. Dr.J (eye dr) said she'll need them to read and watch tv. When she's older to drive. And they will recheck every year. But for now she can take them off in PE and she's good if she's out playing. He said some kids get them in and want to wear them all the time and that's fine too. I have done A lot of thinking over the past week. Thinking we went through so much already with her. Why couldn't they find this as a newborn? Why now? What am I suppose to do? Would This have been easier as a baby? Did I miss this because I was too busy with everything else we had going on in our family? Then I realized that while yes, she had so much going on no one ever said a word about hearing. And I was already so overwhelmed. I was at my limit with appointments, there were nights I just sat watching her breath, praying over her. I leaned on God with everything I had. And he knew. He knew I wouldn't make it through having something else added in at that moment. He new I needed time to deal with so much other stuff. Gods timing is never wrong and he makes no mistakes. So no, I don't know exactly what will happen when we go to the hearing clinic. I don't know if she will need a hearing device, or if we will all learn to sign. I don't know if this is the last thing that will come up with Haleigh or any of the other kids. (Doubt it though) But, I do know that we are exactly where we are suppose to be. Doing exactly what we are suppose to be doing. I know that Haleigh is not upset about anything going on and she knows how loved she is. I can tell you that we are not sitting around with our heads down full of worry and wonder. I can tell you we feel no pitty and don't want any. While Our family may not be typical, we are perfectly and wonderfully made, by God himself. I am a mom of 8 children. 5 on earth and 3 in Heaven I have 2 active blogs here one about my daughter Haleigh and everything we have been through with her and one about my Angel babies Joshua, Faith, and Hope.